You reach out for your key fob – and it’s missing! Being the small-sized components that they are, losing keys is quite common. If you have a spare you can easily regain access to your vehicle, but if you don’t, you could end up being locked out of your own vehicle. This could happen just about anywhere; in your garage, in a public parking lot, by the side of the road. And that’s why you need someone you can count on for help at any time, and anywhere.Matteson Locksmith Service runs a dedicated automotive locksmith division to cater to such issues. We’ve been serving the Matteson, IL community for over ten years now and have rescued several car owners from lockouts, replaced lost transponder keys, fixed ignition issues and more. Today, our automotive locksmith service has garnered appreciation from all quarters – and it’s not without reason. Here are a few reasons why we’ve been successful in the region. Car locks and keys are quite different from those you find in your home or office, as such, they require expert handling. We’ve got a team of technicians who specialize in automotive locksmithing. Having studied the locks on various vehicles for years, learned extensive key cutting and programming techniques and received on-the-job exposure, they’ve mastered the craft. In an age where consumers demand instant gratification, extended wait-times are no-go – and we know that! For this reason, we’ve streamlined our work process and ensured that we provide the quickest response times in the region. From the point the call was placed to the arrival of our technicians onsite, it would hardly take anywhere between 15-20 minutes. Imagine facing an ignition problem in the middle of nowhere. The uncertainty of where and when you could face an unprecedented lock & key situation prompted us to look beyond providing services out of a stationary workshop. Instead, we chose to go mobile, so we could go places, and provide services on-the-spot. Our vans are stocked with the latest equipment, advanced machinery and tools and can traverse the entire Matteson, IL region. Be it on the side of the road or in a remote location, we can help you out. Lockouts are not only frustrating but they could also have serious (or sometimes dangerous) implications. You could lose access at just about any time and in any place. For this reason, we run a 24/7 service. Over the years, we’ve dealt with countless lockouts and have resolved the same with dexterity. The sheer volume of requests we’ve handled have made us quite the experts at unlocking cars, be it any make or model, with little to no damage to the exterior body or the lock. 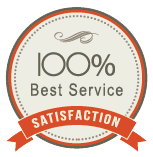 We pride ourselves on offering the best automotive locksmith service in the region. Hire us today, and you’ll know what makes us the best!